Business leaders in Scotland say they have been left “humiliated” and “dismayed” by the Scottish Government over the suite of new taxes unveiled in last week’s budget. They are now demanding face-to-face talks with the Finance Secretary, Derek Mackay, amid growing concerns of a breakdown in relations between industry leaders and Holyrood. The SNP Government is accused of jeopardising economic growth at a time of deep uncertainty over Brexit to strike a political deal with the Greens which secured passage of its £34 billion budget last week. A new tourist tax, workplace parking levy, increased plastic bag charge and levy for disposable cups were all announced, along with powers for town halls to axe rates relief on empty commercial properties. There are fears that Scotland’s £11 billion flagship tourism industry could suffer under the new visitor levy, possibly £2 a night on hotel. Marc Crothall, chief executive of the Scottish Tourism Alliance (STA), says the move reneges on previous government pledges to oppose the move. 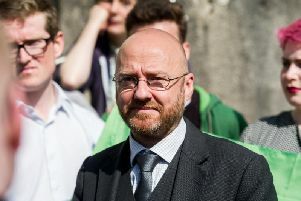 He told Scotland on Sunday: “There’s humiliation, we feel let down that it’s been quite a swift decision that’s been taken – a concession to the Greens. He added: “It is a political deal. It has not been influenced by, for example Edinburgh City Council saying you must have a tourist tax. It’s a direct deal with the Greens to get the budget through. That’s what’s disappointing and I genuinely believe that the Scottish Government giving up this agreement has hurt a huge number of them. Previous estimates from the British hospitality industry have indicated that Scotland’s economy could suffer a £175 million annual hit as tourist spending falls as a result of the tax. Room occupancy levels are already down in Glasgow and Edinburgh and the STA wants a full analysis of the impact before individual councils decide to introduce a visitor levy. He added: “This sector is seen as the goose that lays the golden egg and contributes a huge amount of money in business rates and other forms of payments to the local authority purses – it’s not one that can continue to be robbed or squeezed any further. The introduction of a workplace parking levy, which could see Scots charged up to £500 a year to drive to work, could also damage growth as firms are hit with additional costs. The national levy on plastic bags will also double to 10p with councils keeping the extra revenues, while a levy on disposable plastic coffee cups will also be introduced. The extent of the new powers came as a shock to many business leaders who feel too many concessions were made to the six Green MSPs in the deal. He added: “There’s disappointment in the business community, especially in the tourism sector, about the manner in which some of these decisions were made. David Lonsdale, head of the Scottish Retail Consortium, had called for politicians to ensure a budget was passed last week amid fears no deal would be reached. But he described the lack of detail and clarity set out in some of the measures “striking”.